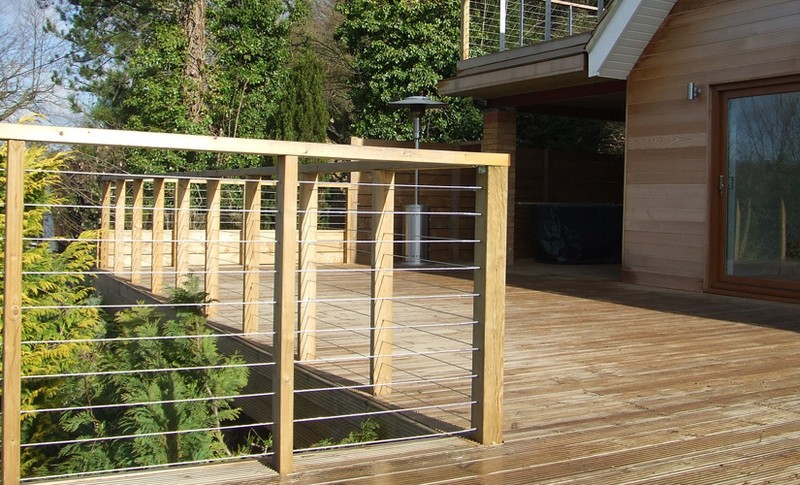 Stainless steel wire rope balustrading offers an elegant, modern alternative to traditional materials, providing the perfect combination of style and functionality. 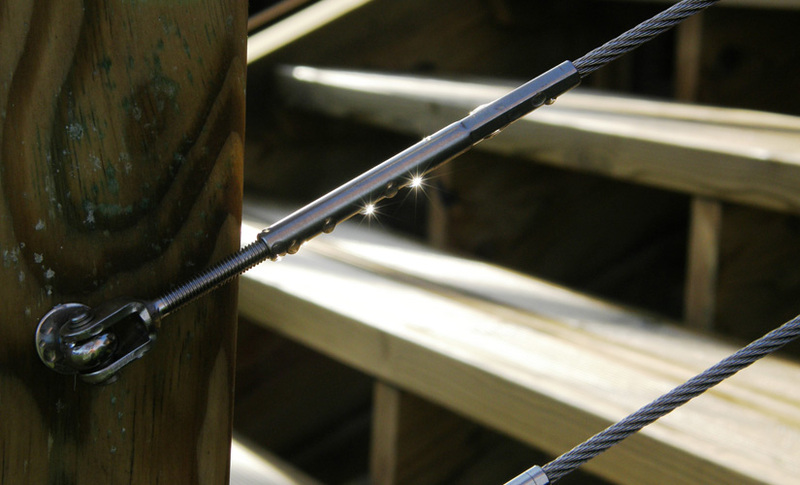 Cable railing is perfect for bringing new life to an existing deck structure, or and when creating a new deck. Whether the project is for a makeover or a new build, wire railing balustrades offer a wide range of options and benefits. Breath-taking views deserve to be seen and enjoyed, but traditional balustrades on a deck can spoil an otherwise perfect vista. With thick posts and pickets, they tend to block the view rather than frame it. Wire rope balustrades shouldn’t get in the way and by using a cable railing option, the view is virtually unobstructed. When considering options for ensuring the clearest view of beautiful scenery, glass is understandably an alternative to bear in mind. Stainless steel wire rope balustrading, however, offers some great advantages over glass. For example, birds can quite easily fly into glass screens, with quite alarming consequences, and in some environments, regular cleaning will be required to keep the glass clear of smears and dirt. Wind conditions also need to be considered, ensuring glass panes and their posts can withstand expected pressure. Although horizontal wire rope railings are the most frequently specified, vertical cables provide an attractive alternative – perfect for those who enjoy the architectural aesthetic of balustrades that align vertically, as they enhance the clean, minimal appearance of the cables. Horizontal configurations of course, receive just as much appreciation! Whether horizontal or vertical wire rope balustrading is chosen, the result is sure to be one of contemporary elegance, with the look of stainless steel cables being one of stylish sophistication. Although some specifications will be determined by regulations, or requirements dictated by the climate and environment, choices regarding specific products will generally primarily be a matter of personal taste. Wood posts are common for both commercial and residential projects, and they can provide a sense of warmth in the deck design if that look is desired. Some may choose a specific wood that matches the deck (often with the visual interest of the location in mind), while some woods are a natural fit for the colour of the panorama seen from the deck. 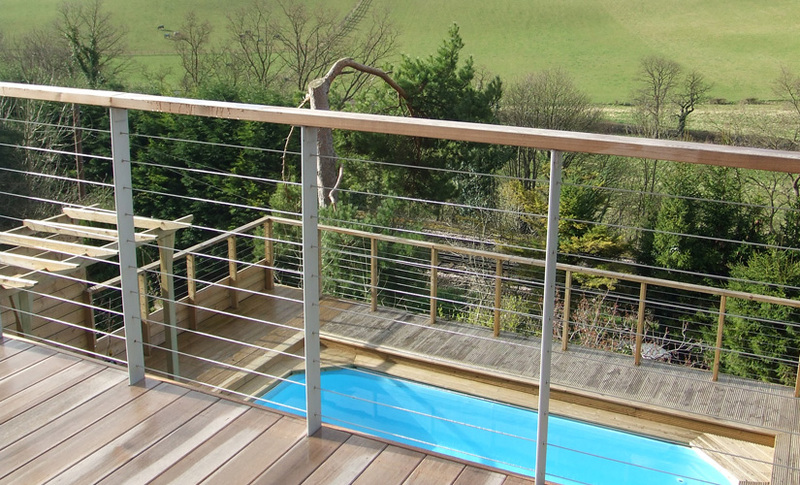 Metal posts for stainless steel wire rope balustrading can help create a minimalistic, even industrial look for the cable railing, with the design allowing unobstructed views and not drawing attention to the balustrade itself. Clearly, the type of posts chosen can affect the overall design aesthetic a great deal, changing what would be an industrial look into a more softened appearance with a traditional feel. Posts may also be selected for their special durability in extreme conditions, sometimes making the choice as much a matter of practicality as of design. Installation and configuration considerations must include factors such as cable tension, spacing between the cables, spacing between the posts, the diameter of the cables and the construction of the top rail. Some locations will also necessitate specific materials due to their particular weather conditions and the resulting demands on the materials. However, local regulations and geographic location still leave a great deal of room for personal preferences. Please just contact our support team if you would like any assistance. One of the great benefits of stainless steel wire rope balustrading is the minimal maintenance requirements. Depending on the configuration chosen, occasional tightening may be necessary to ensure cables are as taut as intended. High quality cabling, however, minimises this need. Overall, stainless steel wire rope balustrading systems provide long-lasting beauty with very little need for additional attention to keep them safe and beautiful. The number of wire ropes necessary is clearly an important determination in the installation process, with the height of the railing a crucial determinant in this calculation. Construction begins with the installation of the frame – the posts are anchored to the frame, the sub rails are attached, and connections prepared. The system is then ready for the wire ropes to be installed and finally tightened to the correct tension. The correct choice of end posts will help ensure stability given the amount of tension exerted on the posts. Sub-rails may also be installed to provide additional strength to the post configuration. We are equally happy to provide materials or deliver a full ‘design, supply and install’ service. Please contact us to discuss your specific requirements. While galvanized cable may be cheaper, stainless steel remains the most popular choice, and that is for a good reason. To avoid rust and ensure durability, stainless steel is still the best choice. The finished product will be elegant, robust and of the highest quality. Newly installed stainless steel wire rope balustrading results in a finish that is attractive in itself, without detracting from the magnificent view beyond.